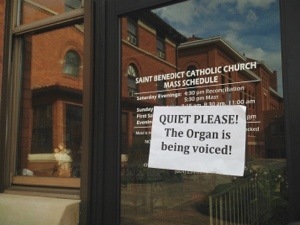 The Organ is Being Voiced! Our beautiful Martin Pasi organ is being voiced. There is a video (taken a couple of years ago) currently on the front page of the church website showing how this is done.